Shane Stapleton was taken to hospital after a second-half incident with the Banner forward. 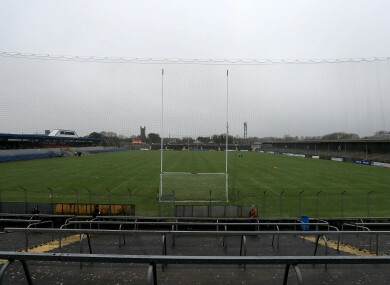 AN INCIDENT-PACKED Division 2 tie ended in a draw in Ennis. Keelan Sexton equalised three minutes from time, for the home county, who have drawn both of their home games to date. Eleven minutes into the second half, Clare lost Jamie Malone to a straight red card, following an incident involving a Tipperary mentor. David Tubridy was also shown a black card as Clare lost two key forwards within seconds, while in injury time, Eoin Cleary was also black carded. After the Clare v Tipperary NFL game in Ennis, Tipp manager Liam Kearns expressed his 'disappointment' at how long it took an ambulance to arrive and bring selector, Shane Stapleton, to hospital. Very surprising that an ambulance wasn't stationed there for the entire game? Five first half Conor Sweeney points helped Tipperary into a 0-7 to 0-5 interval lead. They had use of the breeze in that half in a game played in very difficult conditions. Clare emerged renewed after the interval and points from Malone and Pearse Lillis pulled them level, 0-7 each. Tipperary haven’t lost to Clare in the NFL since 1992 and points from Bill Maher and Jimmy Feehan restored their advantage. Five minutes from time, Sweeney’s seventh point left Tipperary 0-12 to 0-11 up but Sexton equalised from a 40 metre free. Clare could have won the game and spurned late chances as Tipperary lost Josh Keane to a double yellow late in the second period. Scorers for Tipperary: Conor Sweeney 0-7 (0-6f), Bill Maher 0-1, Jimmy Feehan 0-1, Liam Casey 0-1, Liam McGrath 0-1. Scorers for Clare: Keelan Sexton 0-3 (0-1f), Pearse Lillis 0-2, Eoin Cleary 0-2 (0-2f) ,Gary Brennan 0-1, Jamie Malone 0-1, Kieran Malone 0-1, Ciaran Russell 0-1. Email “Clare's Jamie Malone sent-off for incident that left Tipperary selector hospitalised”. Feedback on “Clare's Jamie Malone sent-off for incident that left Tipperary selector hospitalised”.